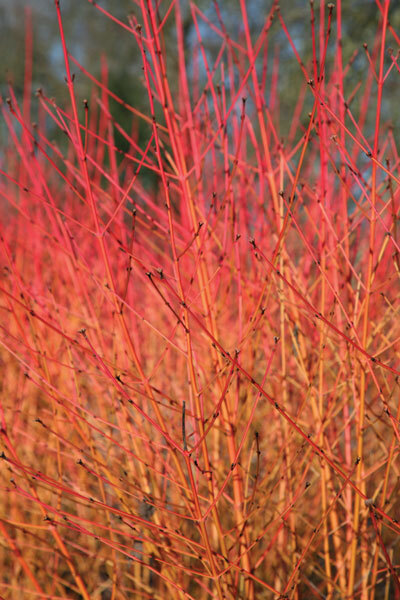 Kate Spray ( Garden Designer) has written a helpful article for Berrie Garden Design to help us make the best of winter plants. 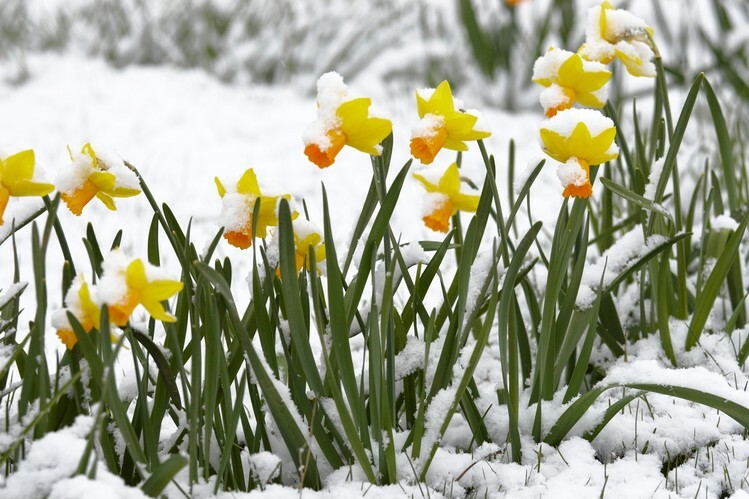 Now is the perfect time to reassess your garden and make a plan. 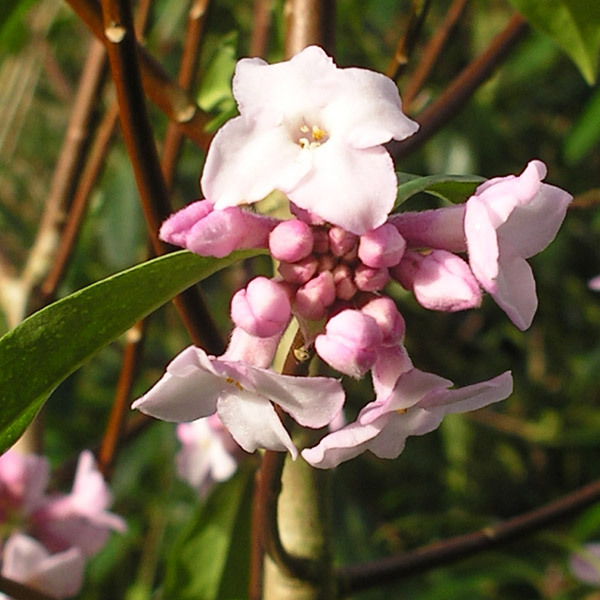 Without all the deciduous growth that arrives in spring, it is easier to spot any weak points. So, make a hot drink, grab a pen and paper, pull up your comfy chair, and do some looking and thinking with the following few things in mind. 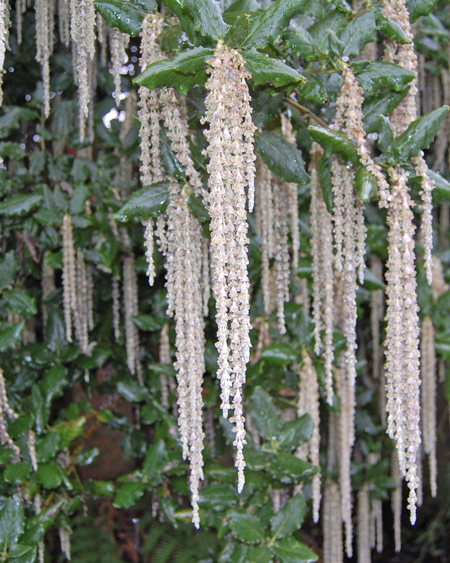 It’s important to get some evergreen structure into the garden to hold it together over the winter which, let’s face it, lasts for virtually six months of the year. Aim for a balance of evergreen form and deciduous plants for year-round interest. 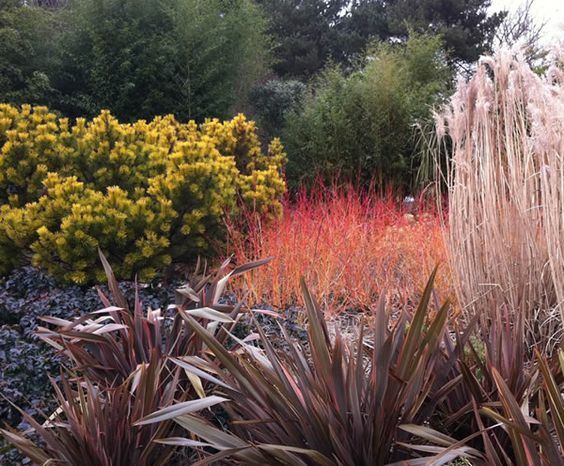 Here this is achieved with a mixture of spruce, Cornus, Sedum and ornamental grasses, Phormium, and the white bark of the Betula tree. 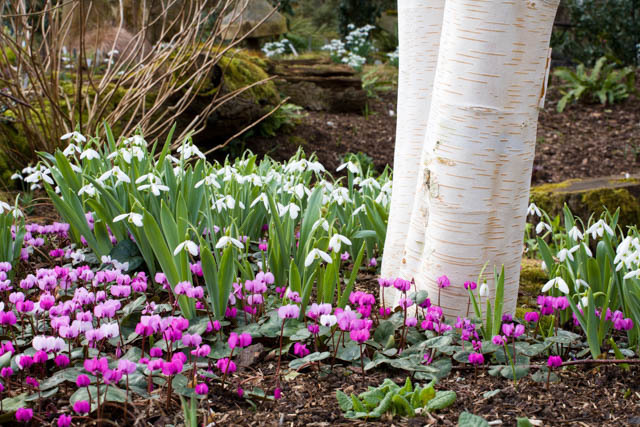 With the addition of colour from plants that blossom in the colder months, and some early bulbs, your winter garden can come alive and continue to give enjoyment. Get creative with structure. 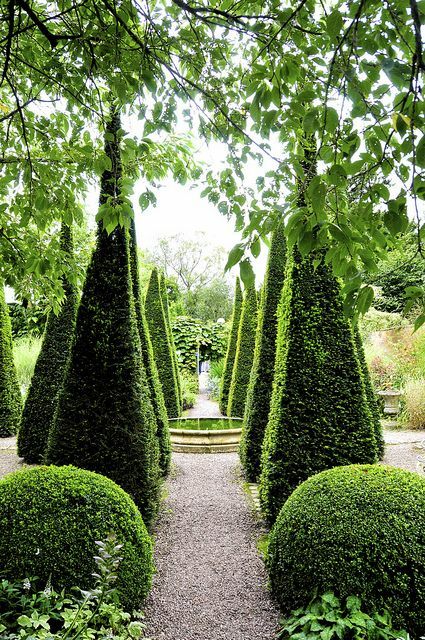 Topiary…. 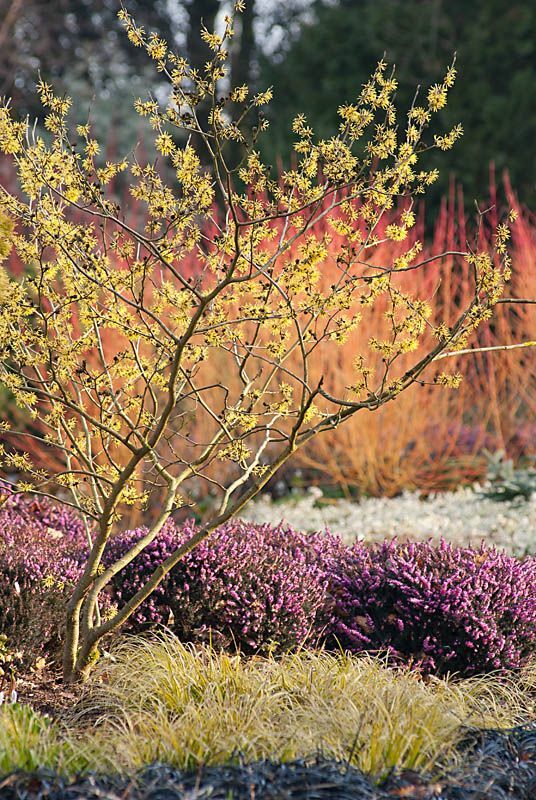 By contrasting the dense colour and clean lines of the static topiary, with loose planting such as free flowing grasses and mixed perennials, each work to show off the best attributes of one another. 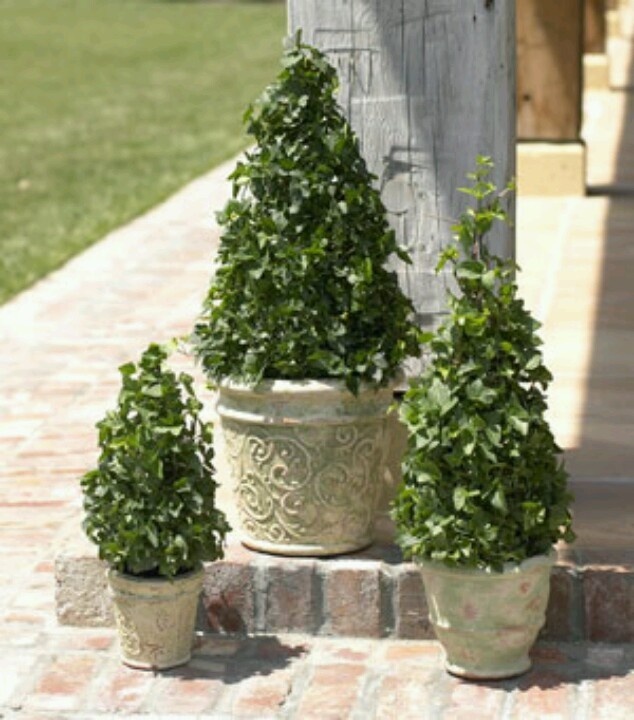 With topiary, the more traditional shapes give a more formal, elegant feel. But you can be as expressive and inventive as you like. 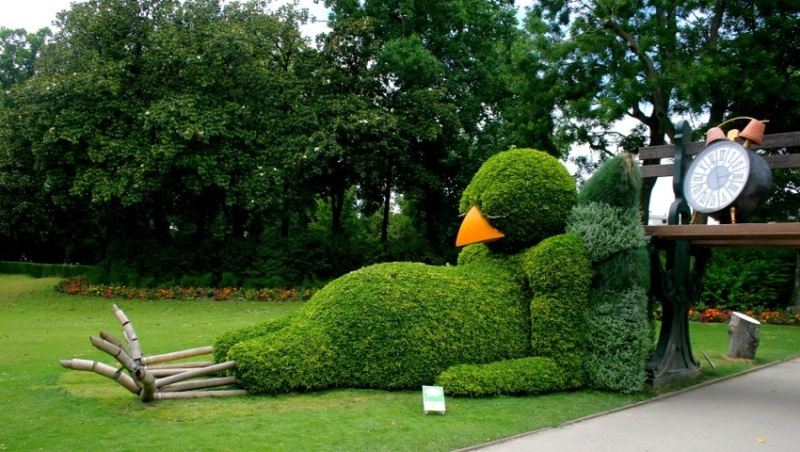 It can also be a way to raise a smile from passers-by. 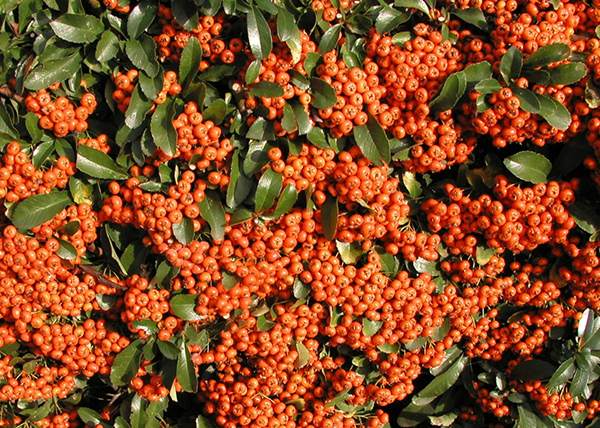 Using Ilex crenata, (below) as opposed to the traditional Buxus sempervirens, will avoid the problem of box blight which can decimate a plant. 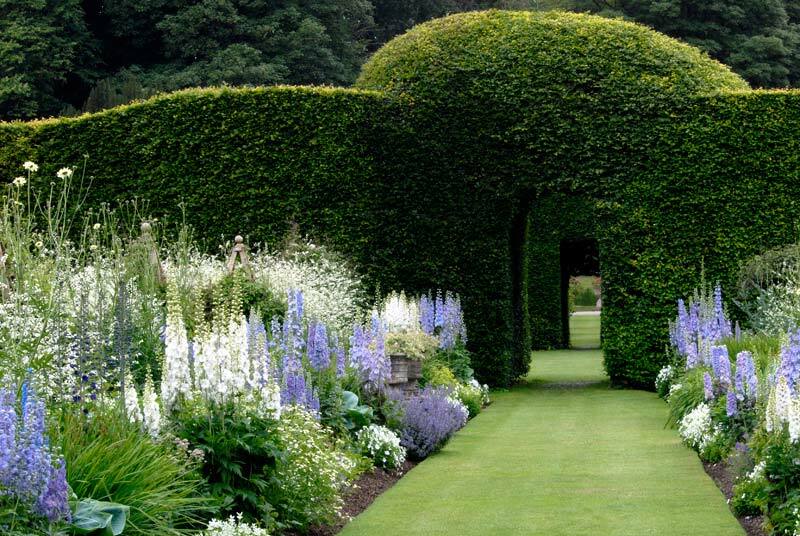 Here, a variety of small-leaved ivy used with frames, shows how the same topiary effect can be achieved. 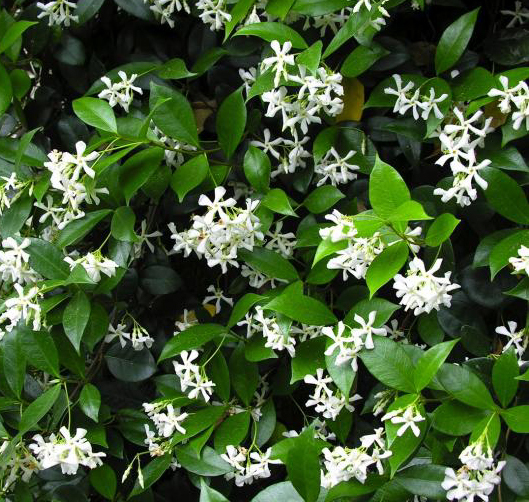 When choosing climbers and fan-trained shrubs, think about placing plants next to one another that have contrasting or complementary shapes, textures or colours. 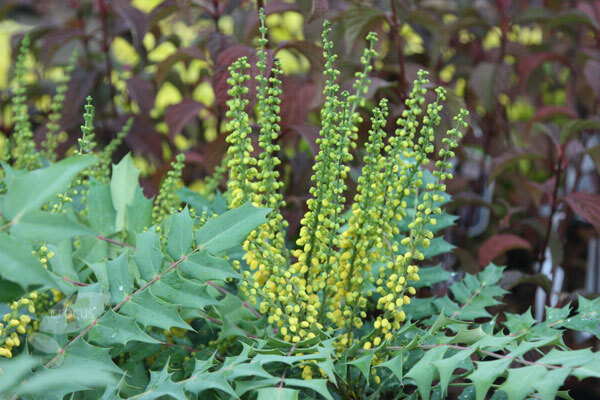 This includes their leaves and flowers, but also their seed heads and berries. 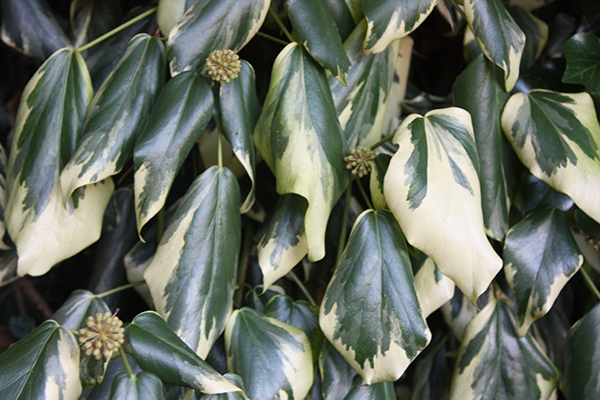 Here for example, the fiery autumn colours of Parthenocissus quinquefolia would look great snaking through the cream-splashed leaves of Hedera colchica ‘Dentata Variegata’. 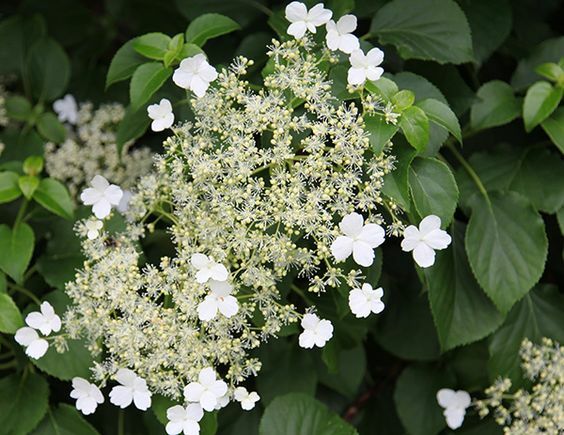 Both would perfectly complement the delicacy and colours of Hydrangea anomala subsp petiolaris. 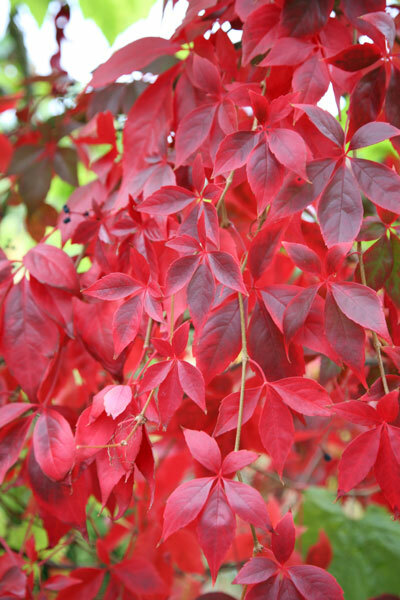 Also, they all grow well in similar conditions – a vital consideration when combining plants. 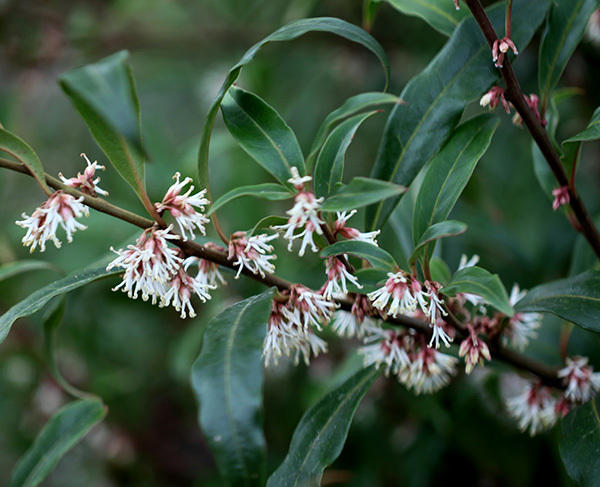 There are some plants that perform during the more tricky, colder months and give interest when much else in the garden has shut up shop for the season. 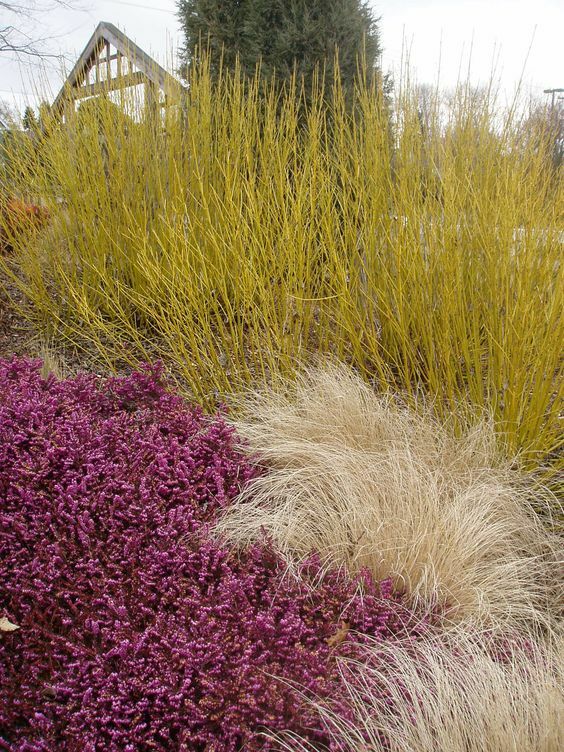 There are some perennials whose dried growth holds up better than others in the face of the harsher weather conditions of winter. 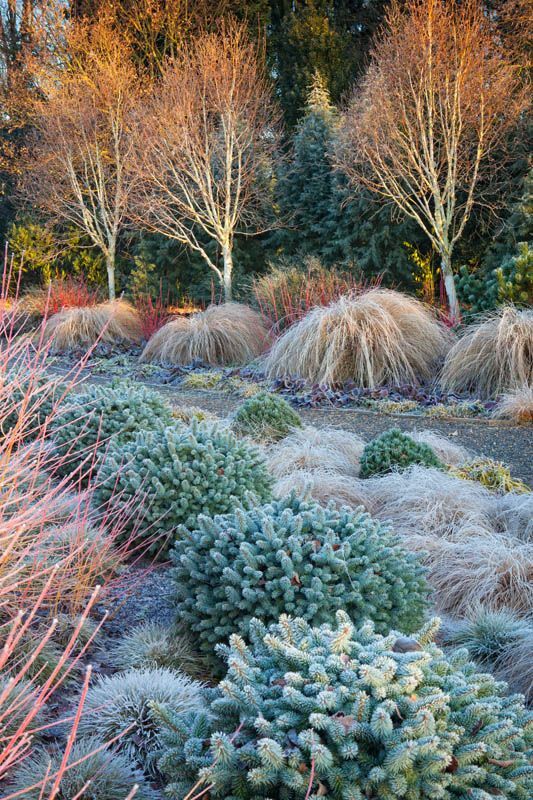 A layer of frost highlights their delicacy and beauty. 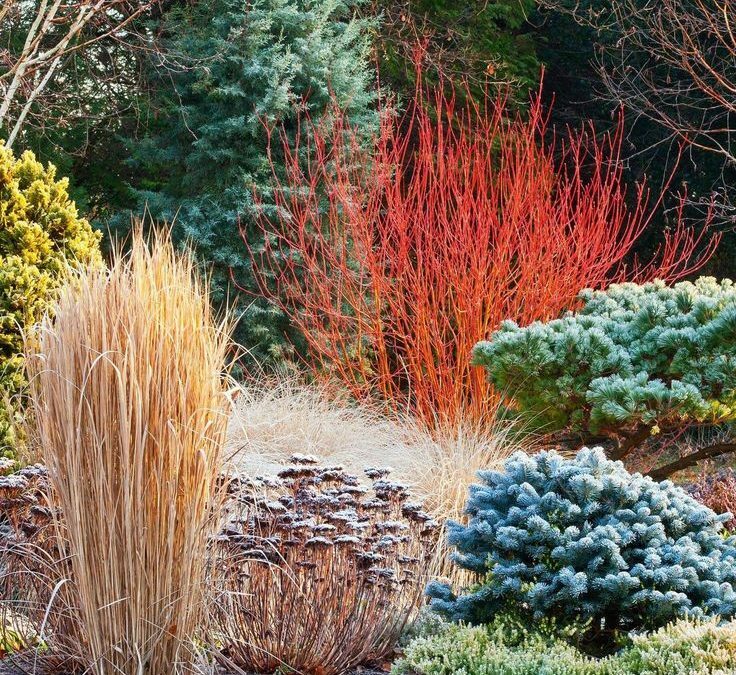 Oudolf chooses plants with the winter season in mind, selecting varieties with an artist’s eye and looking for pleasing and effective combinations. Credits for photos in used in this blog: www.springreachnursery.co.uk, www.rhsplants.co.uk,www.waitrose.co.uk, www.theoldcottage.org.uk,www.crocus.co.uk,www.landscapearizona.com,www.plantoregan.com,www.horti-expo2019.com,www.colchesterplace.com,www.anglodellamicizia.forumfree.it, Marianne St Claire www.corrieweb.it, Meister and Meister, Richard Bloom,www.degroot-inc.com, Getty Images, Manor Fields Estate Ltd, Clive Nichols.